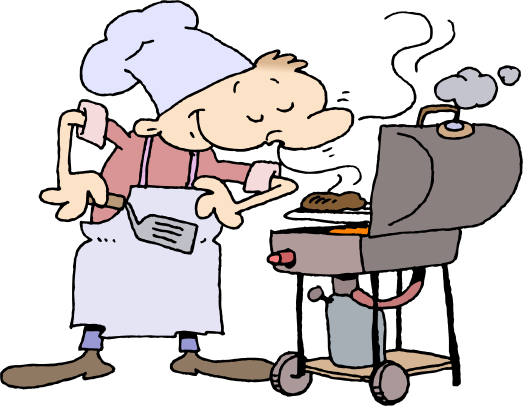 Midwest Moma Blog: ...when it's too HOT to Cook! It's summer time and cooking in the house makes a steamy home....steamier! I have a "open" downstairs...in a town house where "open" means that the oven is less than 10 feet from my TV. So, when it's hot enough to fry an egg outside, the oven getting turned on inside is just NOT going to happen! ....and this what I have compiled! Starting on July 5th, I will be posting a "Too Hot to Cook" recipe and will be doing this every 3 days until the end of summer! I am giving you a sneak peak at what we are working with and sharing with you what we ate last night.....when it was just too hot to cook! We buy a box of meat from MoKan Steaks every month. It costs us just under $200 and I probably can get a better deal some where else....but their meat is "Oh my Gosh!" good! In their box of beef is a ton of pre-made hamburger patties!! Super duper easy! My fiance thaws them out, throws some seasoning on them and slaps them on the grill! 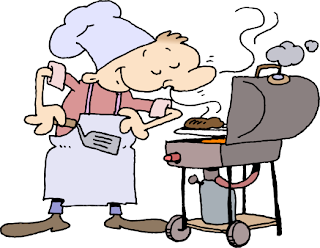 If you have any recipes that fit to serve the needs of us that refuse to cook when it's hotter than hell....please feel free to comment or email me about it! I would love to try your idea and share it on the blog!